I’ve experienced LAX as a professional charter pilot and an ordinary passenger for more than a third of a century. And so I’ve squirreled away more than one LAX horror story. It’s not uncommon to fly my aircraft from Van Nuys (home to a huge general aviation airport) to LAX in five minutes—and then spend the next hour (or more) crawling those last few feet from the runway to the terminal in a long line of jets. Believe me, regardless of which side of the cockpit door you’re on, LAX is no fun. The fact is most major airports — think La Guardia, Hartsfield, JFK, McCarran — seem like a cross between a run down bus station and an urban refugee camp, with masses of downtrodden travelers being herded to and from by security apparatchiks and airline employees who’ve “had it up to here”. So why is it so bad? LAX, and other major U.S. airports, look and feel so bad because they suffer from the same affliction: a national lack of runway capacity. To grasp what’s truly behind the gridlock and delays that mark any authentic LAX experience, one must understand that airports are to airplanes as roads are to cars. Merely expanding the existing roads isn’t enough to make real change. That’s why all the usual fixes we see proposed for LAX—like adding a terminal or gates, or extending runways—won’t fix the airport any more than widening the 405 freeway through the Sepulveda Pass will alleviate West L.A. traffic jams. Since we face a larger, more serious, and profoundly national infrastructure problem—a shortage of runways and airports—soliciting opinions on a solution for LAX is like asking how to fix a problematic train station when the entire system of tracks and switches is malformed. Our airport is but one piece of an aviation infrastructure that has been allowed to shrink and decay most in the very areas where more capacity is needed. In other words, LAX is so overcrowded and sclerotic because no new airport capacity—here or elsewhere—is being developed. You wouldn’t expect to repair a clogged drain by allowing more water to back up in the sink, but for some reason we use that logic when it comes to airports. The famous Theme Building harkens back to a simpler time at LAX. But fixing what ails our airport infrastructure will take a lot more than pretty new terminals with soaring roof lines. Reliever airfields — airports that provide additional capacity to an area when the primary commercial airport is overburdened — have been shuttered throughout the L.A. area over a period of decades and now we’re seeing the result. Did you know that Inglewood, Huntington Park, Gardena, Culver City, and many other Los Angeles towns once hosted their own airports? Almost all of them are now gone, and those which remain have allowed residential and commercial development to encroach on the field to the point where any further expansion is impossible. Take a look at Santa Monica, Hawthorne, Compton, Whiteman, or virtually any other small airport in the Los Angeles area. Long ago, when our population was a tiny fraction of what it is today, Los Angeles had a couple dozen active airports. But as the number of residents has risen, the airport count has fallen. It’s the exact opposite of what should be happening. Today, one of LAX’s primary relievers for general aviation traffic, Santa Monica Airport, is under threat of closure. If that happens, where do you suppose those airplanes will land? Los Angeles is not alone. I live in Orange County, and our history includes fourteen distinct airports; today only three remain: two civilian and one military. In 2002, voters had the opportunity to turn the former El Toro Marine Corps Air Station into a commercial airport but declined to do so, allowing another much-needed series of runways to fall by the wayside. The same story is repeated across the country. While that’s democracy at work, nobody should be surprised that we’re experiencing gridlock as a result of these decisions. Self-proclaimed experts will tell you that the problem with our infrastructure is thousands of feet above our heads, claiming the skies over America are so crowded that the current ground-based air traffic control system is to blame for our flying woes. That’s why the Federal government is spending billions of dollars to transition to a satellite-based system referred to as NextGen. But I’ve been flying for decades and it’s extremely rare to see another airplane at altitude. It’s only the condensation trail emanating from the engines that visually reveals them at all. A third grader could tell you that the sky is large and it’s our airports that are small. That’s where the real crush of traffic happens. We don’t lack airspace — we lack pavement. LA World airports is partially to blame for this as well. They have allowed ONT to languish, in order to increase demand for KLAX, justifying expansion of the runway. Expensive landing fees, ridiculous lease rates have caused the number of flights to actually decrease at ONT. 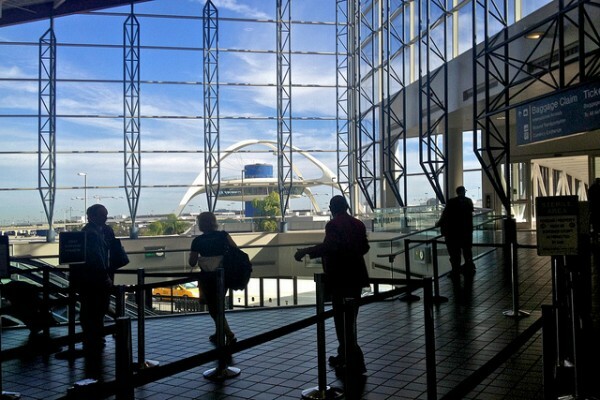 There is actually a whole terminal that is hardly used which is odd as LA World Airports actually own and operate ONT. Nice long runways at SBD and VCV are available as well, with an unused three gate terminal available at SBD. Maybe there needs to be a regional approach to solving LAX’s problem rather than LAWA pulling the strings. Just sayin’. You may be right. And in that same vein, the solution should go beyond regional. The *national* infrastructure must be considered as a whole. SBD and VCV are good expansion options for people living in those areas. Likewise, Camarillo or Oxnard could assist in the Ventura area in the future. That’s why these airports have to be protected. It’s an interesting point Bob makes above with ONT (IE is growing and booming, or was). The OC has one commercial runway, and its barely over 5k. with no over/under runs. But lets consider LAX. I think it is one of the better designed airports for runway configurations. Aircraft take off over the water. the two outer runways take in the arrivals and the two inner runways launch the jets out. There is plenty of room between the “complex’s” that even Helicopters can operate between the runways safely. The only other two airports I can think of like this are DFW and ATL. I can see how ORD, JFK and EWR can get a bit congested. However, its not enough for LAX. Sometimes I can sit out on Imperial hill and see a string of 10 – 15 lights out, as far as Chino hills from where they begin their STAR. I have been in a Cessna landing on 24R and 45 minutes later only at the FBO clear across the field. 45 min Taxi! I think Regan did the expansion for the 84 Olympics which costs a fortune and now 30 years later…we need to upgrade our terminals again. I remember living in San Diego and if I wanted to get to Europe or Asia I would have to make a plan to get to LAX, at least 3 hours away. I have been utilizing the green line to get to LAX. I can travel for 10 days and not have to pay a penny in parking. I think most of the airport employees realize the benefits of this line. I just park in a 24 hour police watched lot. Hop on the green line for $2.00 and I am at LAX in 30 – 40 min tops. I know SFO, OAK, and ORD have trains to the field…but LAX is truly the worst! Yes, OC is boxed in and there are no other airports in the county. Unless they want to route the 405 and or 73 freeways underground and extend the runways that way, the field will remain at 5700 feet. The interminable logjams on the ground at LAX are part of the problem. I’m sure you recall the uproar about long delays on the tarmac of seven, eight, or more hours at some airports. It’s only the good weather which keeps that from happening in L.A. Even so, the physical size of the airport is constrained and eventually the delays are going to reach epic proportions. Closing reliever airports like SMO will send much of that traffic to LAX as well. There’s no reason you should have to drive from San Diego to LAX to catch a flight to Europe or Asia. That sort of inefficiency is a cost our economy and population should not have to bear. In response to an AOPA questionnaire some years ago which asked what the most important improvement for General Aviation might be, I replied “…a 3500 foot runway at ATL”. I’m sure my answer was immediately and permanently ignored, but the pavement problem you so well describe remains, and no one (present company excepted) seems even to be thinking of *starting* the decades-long process of concretizing the solution. You’ll get no help from the airlines, which battle for scarce landing gates and slots which practically act as bottom-line assets for them. And we GA pilots are hardly a model of grass-roots activism! Still, I think the JetA and 100LL burners could get together and defeat the incredible difficulties which prevent pax transfer from Part 91 to Part 121 at almost all airports. I picked up my disabled daughter at MCO, and it was a ten mile drive-park-and-wait to get her to the FBO, that’s NUTS! What abut “personal aircraft”? Major airports need re-imagining, followed by some welcome infrastructure improvements. I just saw this first-hand. 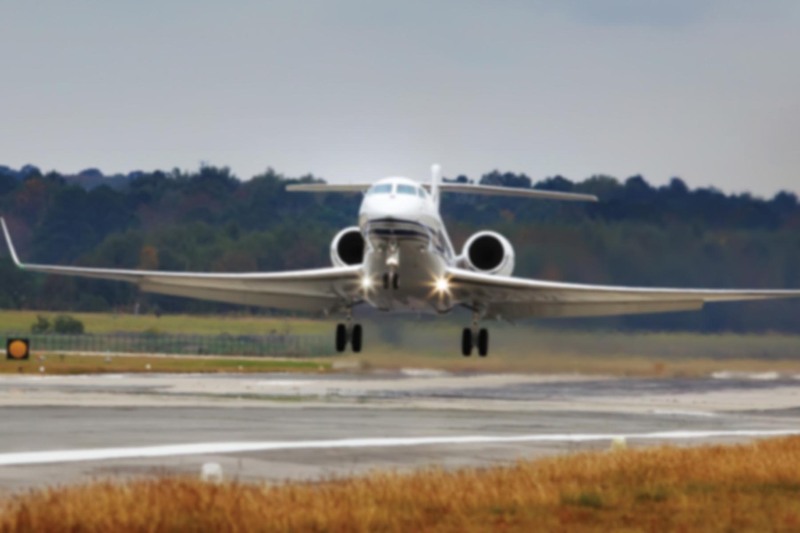 I spent the Christmas holiday period flying around the east coast, and from New York to Florida to St. Maarten, Nassau, Boston, Puerto Rico, and everywhere else, the pavement was overcrowded from the runway threshhold to the FBO. We do need more runways. There was a time when a light GA aircraft could deliver a passenger to an airline terminal. I guess it went by the wayside because of all the criminal activity from general aviation pilots. Oh wait — that never happened. When i lived i seattle, prior to getting into aviation, i remember reading about the addition of the 3rd runway, 16R-34L. Though the process was lengthy and difficult, ultimately the new runway is a welcome addition. Some even say that eventually the three runway complex will not be able to provide enough capacity and the fourth runway will be necessary. Do you think the 5th runway is the answer for KLAX? Excellent question. A fifth runway at LAX would be helpful, but ultimately the whole infrastructure must expand as a cohesive system or the bottleneck will simply move from one point to another. In other words, more runway capacity must be matched with additional gates and taxiway space. Eventually you fill up the available land and cannot expand any further. That’s why additional airports are so important. Southern California has expanded dramatically to the east, west, and south over the years. Today, SoCal is essentially one solid mass of cityscape from Santa Barbara to the Mexican border and from Ventura to Palm Springs. Forcing people to drive all the way to LAX to catch a flight doesn’t make sense. It wastes time, money, and overburdens the freeways and city streets as well. A smarter strategy would be to develop alternate airports closer to the outlying population centers (such as Ontario, something several commenters have mentioned) and — most importantly — to preserve existing airports while planning for the future. Unfortunately, the decision-making process rests primarily with politicians, who by their very nature have trouble looking beyond the next election. Not exactly conducive to building a long-term plan. One thing that would help dramatically in the Southern California area specifically is for a new international airport to be built in the San Diego area. They really missed the boat when the Navy left Miramar and the Marines moved in as that would have been the best location. Tons of room to expand and about as centrally located in the area as you can be. With that being said they need to do something now with how long that process will take considering they have been working on it for at least 12 years since I lived there and no real progress has been made. I know it will never happen, but the best choice would still be Miramar and have the Marines move down to North Island where they have plenty of space for that, or at least they did ten years ago. Even a joint use option would make a huge difference in the area, but the Marine Corps has been very clear about their unwillingness to do that. It is funny how back when LAX was built it was out in the middle of nowhere and the city grew out to meet it, because of the value it provides to a city, but now there is no room to put in a new one, and even worse relatively nothing is being done to come up with a solution that will actually make a difference. I suppose it would be unfair to eject the military from one of their long-held bases. But if the day ever comes when they are done with Miramar, it should absolutely be used to relieve the SAN congenstion. I don’t know why they wouldn’t prefer North Island anyway. I used to fly over that airport all the time at low altitude (like 1000′ AGL) and was amazed at how little activity seemed to take place there. The beauty of North Island is that they could launch directly out over the water and avoid traffic conflicts and noise concerns that plague Miramar. Soemone emailed me to ask why I thought DFW and DEN were such good airports compared to LAX. The answer, of course, is that both those fields were scratch-built as large international airports, so the layout is efficient and logical. LAX, on the other hand, grew out of a sleepy general aviation airport which was never designed with the current traffic levels in mind. I suppose they could build new terminals around the north and south edges of the airport and connect it all with underground or surface-level light rail. But in the end, they just don’t have much space left there.